Jinhuadi Market is the largest fishing gear wholesale and retail market in southern China and the largest distribution center for fishing gear in Guangzhou. The market has easy access to the metro and Fangcun Coach Station and more than ten city bus lines. It is approximately 6 kilometers from the Guangzhou Railway Station and 15 kilometers from Baiyun Airport. 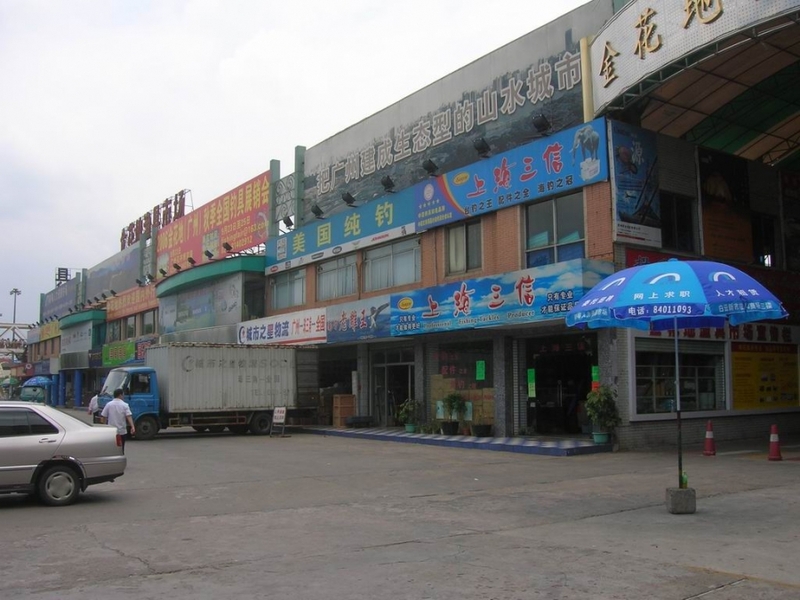 Jinhuadi Market is near Shili Changjie (literally means 'ten-mile long street') which has a collection of shops and smaller markets spread over 100,000 square meters. You can also find logistics and transportation services on this street.